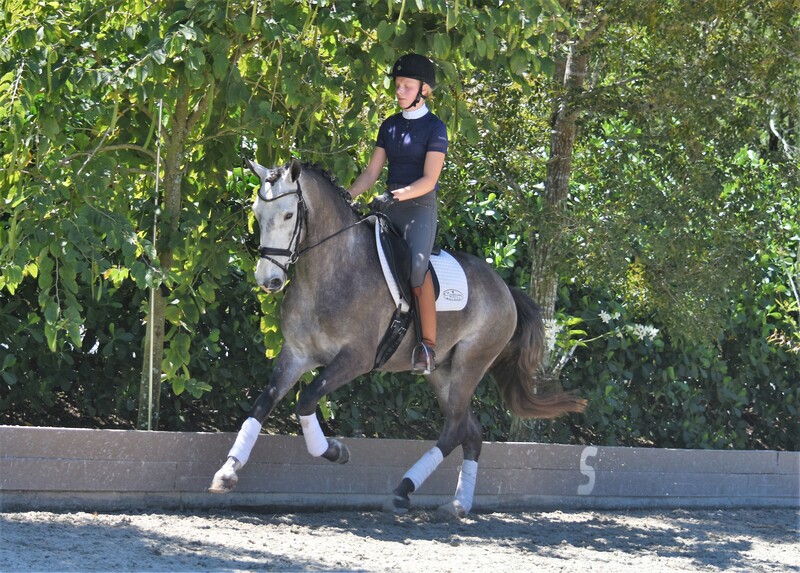 Lares is a 5-year-old (born 12-2014) imported Gray Lusitano Gelding by Baldor x Noblissimo standing​ 16h tall. Super talented young star! 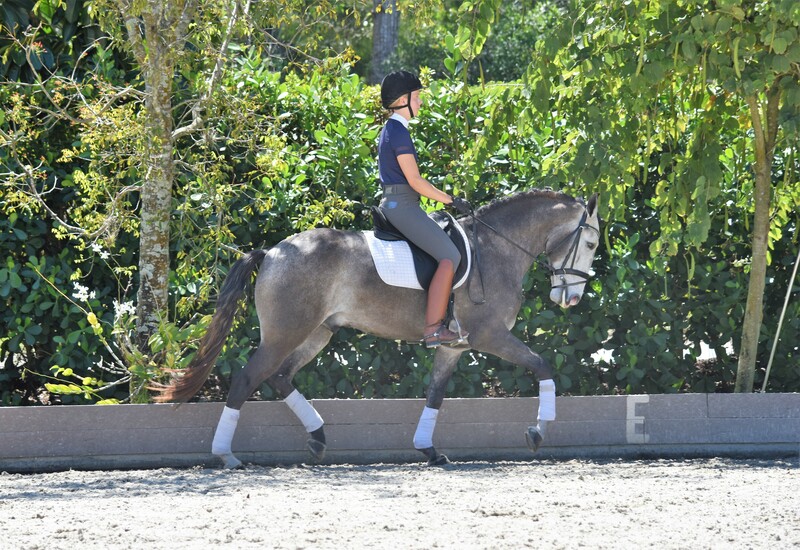 An impressive young horse with a wonderful canter and three exceptional gaits, Lares Interagro has been developing quickly and easily since he started under saddle. He is straightforward, soft, and comfortable to ride, and was radiographed in December of 2017. 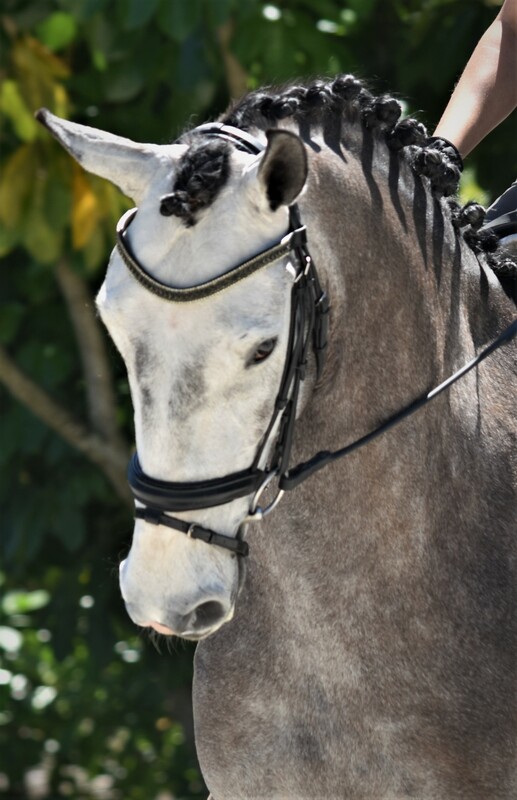 His sire, Baldor Interagro, has produced multiple champion dressage offspring both in Brazil and in the US, including Hadrian Interagro, Indus Interagro, and Hermus Interagro, as well as champion working equitation horses like the multitalented Hermus Interagro and Herodotus Interagro. He is a true Diamond in the rough. ​His great attitude and willingness to go forward and learn make him a perfect young horse to bring along for everyone alike! He enjoys being both in and out of the ring, and has been hacked about on busy roads and through the woods. He has absolutely no bad habits. He is 100% sound, and is up to date on all his shots. Call me for more info.